HB Body Power Polish 200ml. A high quality medium – fine machine polishing compound. 806 Power polish is the second step polish required in the process and compliments the 805 Super cut. 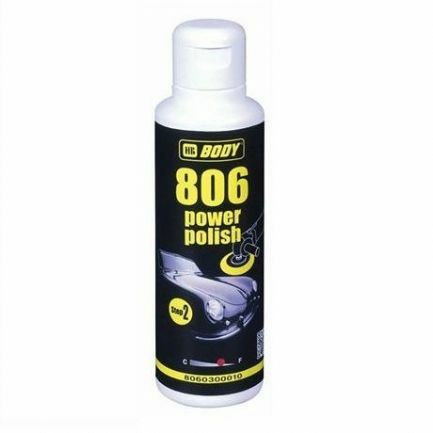 806 Power polish removes and cleans any imperfections and fine sanding lines without leaving any compound swirl. Silicone free and suitable for all paint finishes including new and aged cured. This leaves a permanent finish where the swirls will not re appear.